So I’ve been watching a lot of BookTube lately. It’s basically this community of people on YouTube that review and talk about books (mostly YA novels), but they’re entertaining. One thing that I love are book tags, which are basically themed lists of books. And while I’m still not completely confident to do a video blog myself, I figured I could start where I was comfortable: here. This list is pretty simple: Top Ten Most Influential Books, simple but very fun to think about. Some of these will be completely obvious for those of you who know me even a little bit. But there are some surprises as well. So here we go: my top ten influential books (in the order of which I discovered them). I could not find this book for forever. All I could remember was that it was about a girl who was obsessed with reading and that her last name was Brown. And after several futile searches over the course of months (yes, months) I finally found it! You cannot imagine how much of a relief this is. Basically, it’s about a girl who grows up to be a woman who does nothing but read books. She devours them throughout her entire life until she’s old and finds her house full of books, but realizes she has no one to share them with. 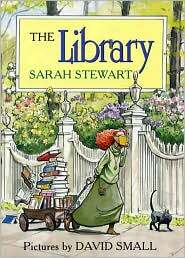 The now old woman opens her home to the public as a library, sharing her books and her love for them. These were the first chapter books I “read”. My mom started reading them to me in the first/second grade, and I slowly took over as my reading developed. 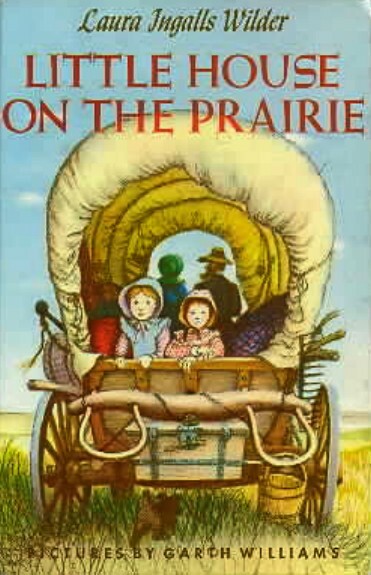 I guess you could also count Nancy Drew with these books, but Little House on the Prairie just stands out more in my head, whether because I remember thinking how fun it would be to live off the land, make my own molasses (I had no idea what molasses was, but it sounded delicious), and go to school where everyone had their own little chalk board. I would not be the me I am today if I had not read these books. I owe everything to Harry and Hogwarts and Ms. Rowling. I grew up very lonely as a kid and pretty much side-by-side with Harry. Heck, I was seventeen when the series ended (the same age as the characters in the books), so, in a small way, I actually grew up with Harry, Ron, and Hermione. These are books I credit my voracious appetite for books and stories. I’ve made some of the best friends I’ve ever had because of these books. I love these books to pieces. And who knows where I would be without them. 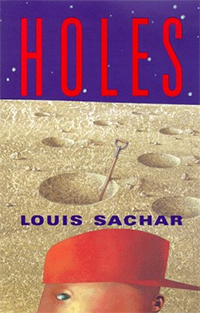 Holes is probably the first I ever obsessively reread. I remember checking it out from the school library multiple times, and by the third time I realized I probably should just get my own copy. What’s funny is I’m pretty sure I picked this up because my crush in either the 4th or 5th grade was reading it. But then I just read it again and again and it was the first book where I realized that rereading a book was how you picked up on little things–or even big things–that you missed the first time around. The movie starring Shia Labeouf was cute, but I always tell people to read the book first because they change certain things (such as Stanley at the beginning of the book vs. Stanley at the end of the book). 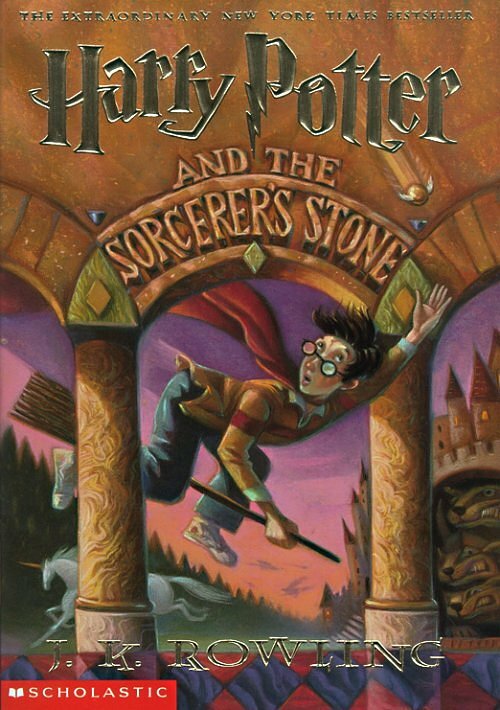 This was the first book series where, outside of school, I had to defend my opinion. I learned how to be critical of what I was reading not just like it because it was a “best seller”. I was allowed to pick and choose what I enjoyed to read for myself. And that’s something that’s really important, not just in reading, but in all aspects of life. So, thank you Twilight. 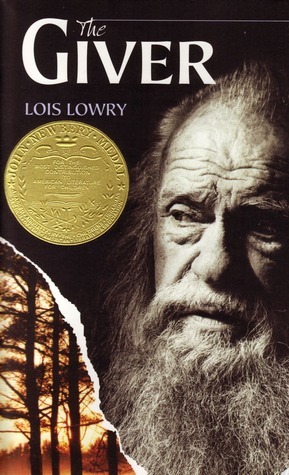 Thank you for helping me develop a sense of self in and outside of books. I read this book for my AP Government class’s summer reading and I devoured this book. Honestly, this is one of the most terrifying books I have ever read. I mean, where do I begin? Now that I think about it, it’s kind of ironic I read this in school. 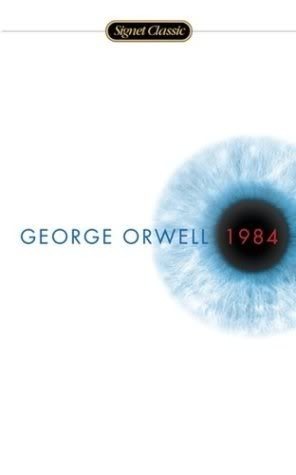 This book made me realize how important it is not to just accept information just because someone in a higher authority is telling me so, but to question the situation and motive consistently. And, not gonna lie, one of the best twists ever in book. Ever. I’ve always been a fan of satire since my middle school days. And this is satire at it’s best. Not to mention extremely relevant to what’s going on the world right now. This book is important because it showed me how clever words could be and that you can write a thoughtful book while still being insightful and hilarious. I have already talked about this book at length, but I don’t think I addressed just how important it is to me personally. I have always admired Tina Fey and women like her (re: Amy Poehler; Mindy Kaling; Beyonce; etc. ), but didn’t really grasp how important women like them (women in the spotlight of the media’s eye and are staunchly and unapologetically feminist) are. This was definitely not the start of my feminism, but it did turn the dial up to eleven. Why don’t I see more women in media or in charge of media? Why am I complacent with this? Why am I not demanding more? 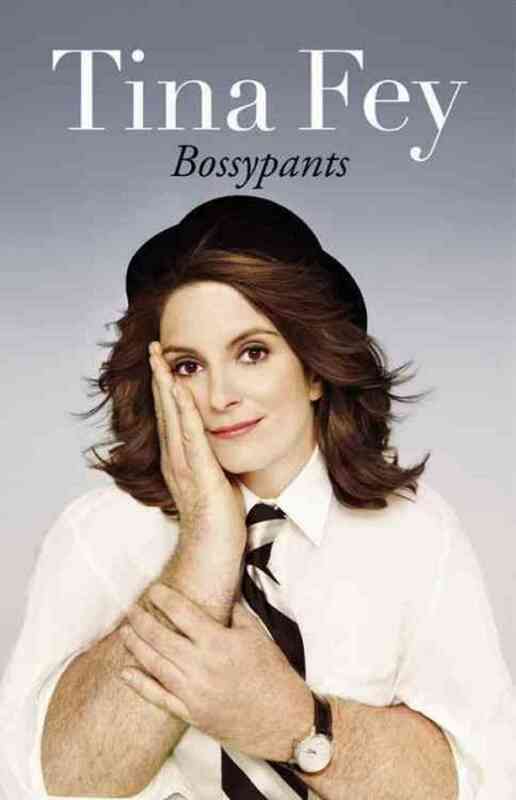 Tina Fey and her book have influenced my identity as a person, and that is why this book is on this list. Even for those who love fantasy, Terry Prachett can be a bit of a bear, if only for his prolific Discworld series. But here’s the deal: it’s not a series. It’s a bunch of books that take place in the same universe. You don’t have to read all of them to get the Discworld experience! I was recommended this specific starting point by a podcast and I immediately fell in love. 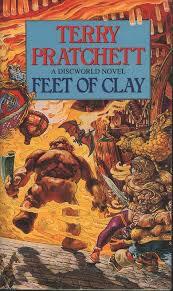 Feet of Clay, in a brief summary, is one of the Watch series in the Discworld series. It follows the adventures of those in charge of keeping the law of the main city Ank Morpork. But when things like assassinations are legal as long as the assassins pay their guild dues, you can bet it’s a harder job than previously assumed. But back to why this was/is an influential series for me. It basically introduced me to a literary world where the world was bigger than the print on the pages. Things happened in and out and around the story that still affected the story, but does not diminish or leave the reader wanting. 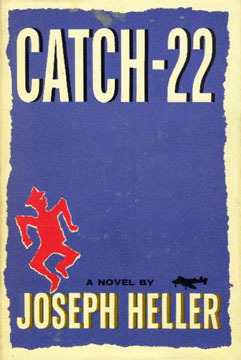 This is another book that I have already talked about on this blog. And it is so late on the list because I never had to read it for school and will never forgive the my English teachers for it. This book is amazing. The story is simple but complex and leaves the reader (or at least me) in a state of existential ecstasy that demands inner contemplation and discussion. It is very minimalist as a book and a relief in a world of epics that decide the reader needs to know about every little detail about the world and its characters. Sometimes, you just need to tell the story like a journalist. Each sentence has a purpose for driving the plot forward. Anything is excess and therefore is not mentioned. Nothing is over described or explained as if the reader has no imagination or is not capable if inferring what’s going on around the story. *ahem* So yes, these are the books that influenced me and the lessons they bestowed. I really enjoyed making this list. It allowed me to reminisce some of my favorite book-related memories (and some not so favorite). 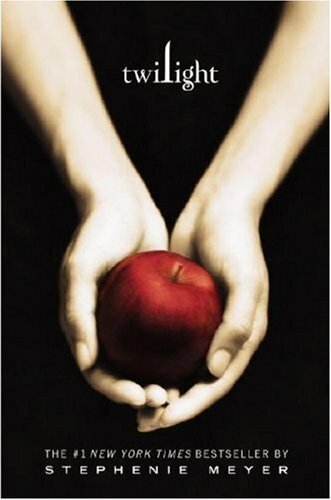 I highly recommend any of these books (except Twilight) as reading material both for the enjoyment and what they have contributed in my life.